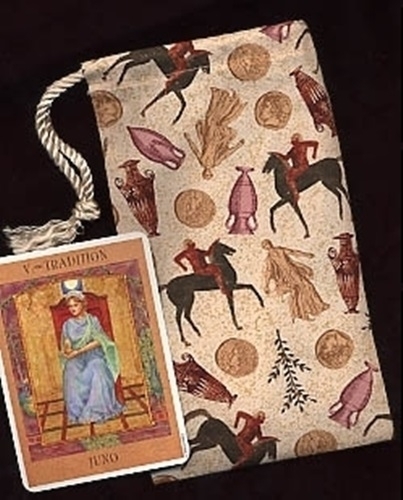 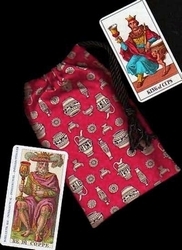 Paying tribute to the cultures of the ancient Mediterranean, this tarot bag is the ideal home for classically themed decks. 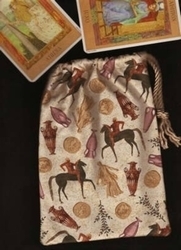 Details from the Minoan frescoes of Crete, Greek amphorae, and other classical architecture, coinage, and artifacts grace this bag. 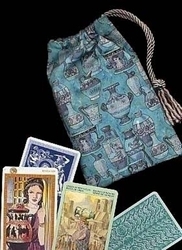 Deck Suggestions: The Goddess Tarot (shown with bag) is a beautiful match for this bag. 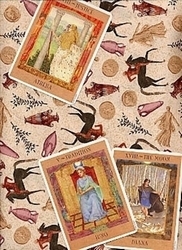 It also coordinates beautifully with the Mythic Tarot, Universal Goddess Tarot, and the Renaissance Tarot. 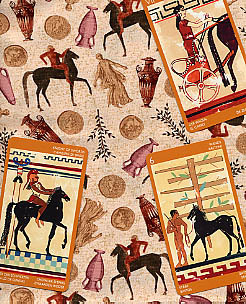 Perhaps our favorite match, though, is the Etruscan Tarot (pictured below).